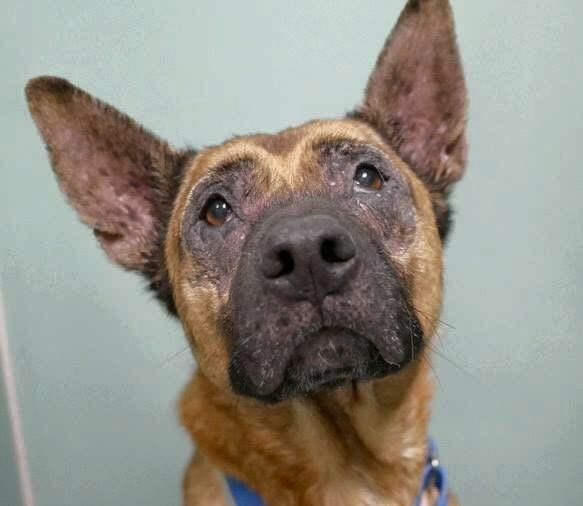 STAR - 9 years young, 55 lbs, Fire Island NY Words from Star’s foster mom: “Star is approximately 9 years old and 55 pounds. She is fine walking by dogs in the street, never had an issue with that. She has not been around any young kids only my nieces. I think she will be fine but she is “pawsy” when requesting pets. She barks when she knows we are home (she is downstairs in the bedroom separate when this happens) and just wants to be with us. When we are not home she doesn’t bark. We have a video camera and can hear what’s going on. She is fine with strangers. She has shown some fear when meeting certain people and I realized that is when they stand over her and stare at her. But once they give her a pet she’s their friend forever. She was outside when the mailman came and was fine and accepted pets from strangers in fire island. She was initially afraid of my dad, he gave her a treat and now they are best friends and he picks her up to go for rides. I leave her out in the morning and she has free range On the first floor of our house. She has never chewed on anything but her toys and will typically go lay on her bed after I leave.” Star is spayed, up to date on shots and microchipped. If you would like to meet this sweet girl, please contact AmsterDog at 917-689-8414 or amsterdog@gmail.com.